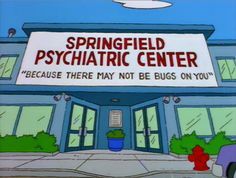 The Edexcel course requires you to know about one psychologically-based treatment for schizophrenia. You will need to be able to compare this with a biological treatment. There are other psychological treatments besides CBT. For example, there is psychoanalysis (Freud's "talking cure") and behavioural therapy (like token economy programmes) but these are less commonly used and more controversial. Some students who enjoyed Freud in Unit 1 might prefer to write about Freud's psychoanalysis as a psychological treatment for schizophrenia. I've included some sections on this that other students may ignore. 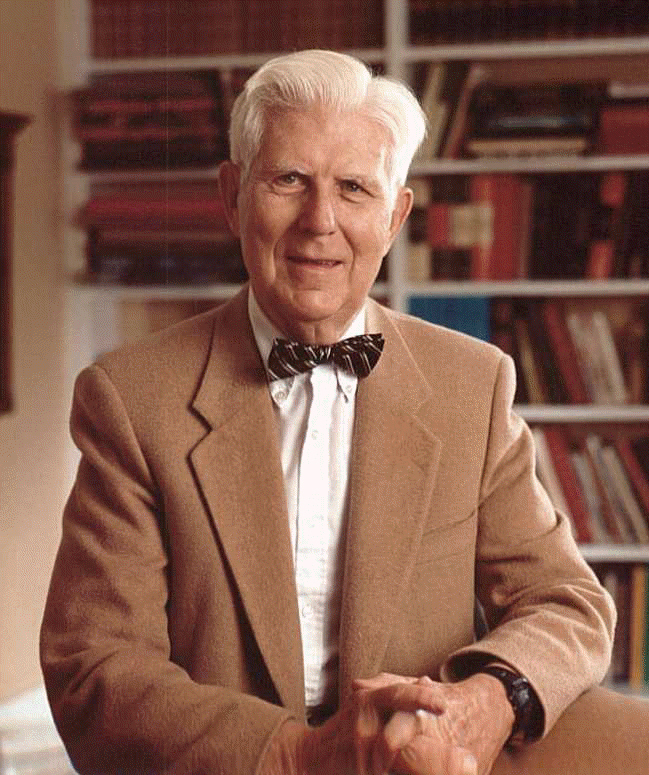 Cognitive therapy was developed by Aaron Beck (left) in the 1960s. Beck was enthusiastic about Freud's "talking cure" but disagreed with many aspects of psychoanalysis. In particular, he believed that people were capable of understanding themselves and changing themselves on a conscious level: they just needed help. He rejected the idea of the unconscious mind and that personal problems were rooted in childhood traumas that couldn't be changed. Beck proposed the Cognitive Triad. This is the idea that our thoughts and beliefs shape our feelings and our feelings then direct the way we behave; our behaviour then influences the way other people treat us and that in turn backs up our thoughts and beliefs. Beck suggests a lot of behavioural problems stem from "faulty thinking" - core beliefs that are negative and irrational. The Cognitive Triad is an example of a VICIOUS CIRCLE. Beck's therapy was an attempt to re-wind the negative process and create a 'virtuous circle'. The therapist gets the client to identify an "activating event" - something they believe is the trigger for their problems. For someone with schizophrenia, this might be a delusion or a hallucination. The client then identifies their "beliefs" about this event. People with schizophrenia often think the voices they hear are real. Therapist and client then explore the "consequences" of these beliefs, such as how talking back to the voices upsets and frightens other people around them. Ellis also proposed a fourth step - D for "dispute" - in which the therapist challenges the client's beliefs, exposes them as faulty and gets the client to adopt different beliefs (for example, that the voices are "just in their head"). It's important that the "D" part is non-judgmental. The therapist isn't trying to make the client feel bad for having these beliefs. 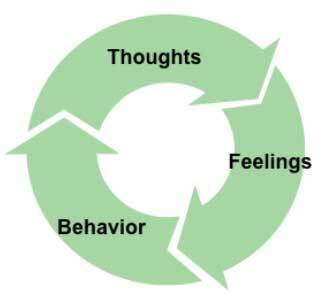 Cognitive Behavioural Therapy (CBT) combines Beck's and Ellis' therapies. 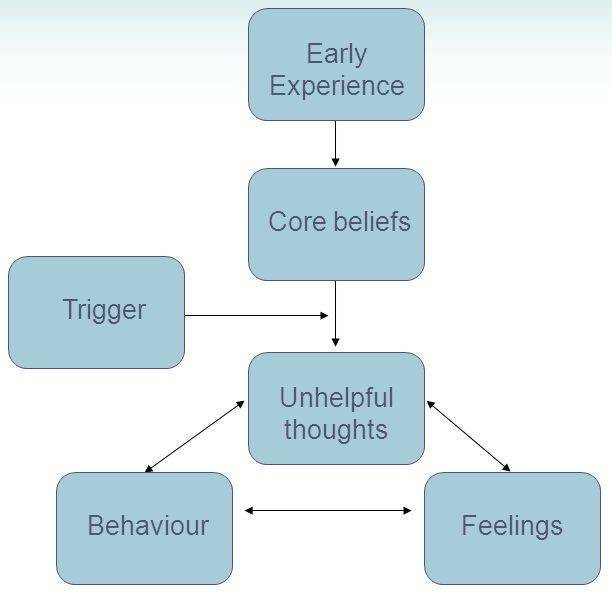 A CBT therapist encourages the client to become aware of their own core beliefs, which may have been formed by unpleasant early experiences. They then work out what sort of events act as triggers for unhelpful thoughts. Therapist and client decide decide how to put these beliefs to the test, perhaps through role-playing what happens when they act on their unhelpful thoughts compared to when they act on more positive thoughts. Many people with schizophrenia have their own (often ineffective) coping strategies to control their delusions and hallucinations, so CBT improves these coping strategies (Nicholas Tarrier, 1987). CBT for schizophrenia focuses on the positive symptoms (hallucinations and delusions) rather than the negative symptoms (such as lack of emotion, lack of motivation, speaking very little). Coping Strategy Enhancement works by figuring out the triggers for delusions and hallucinations and the coping strategies the client uses. The therapist and client work together to improve the existing coping strategies. The patient is given “homework” of putting the new strategies into action. In the next session, therapist and client review how this went and discuss ways of making these strategies more effective. CBT also focuses on changing the client's delusions and hallucinations. The client is asked to think of explanations for his or her beliefs. After this, there is “reality testing”, in which the therapist and client plan an activity to put a delusional belief to the test. For example, if the client thought they had a special power the therapist would ask them to demonstrate it. Psychoanalysis is the original "talking cure" that inspired Aaron Beck. It also involves one-to-one session with a therapist (called a psychoanalyst). Unlike CBT, psychoanalysis focuses on unconscious feelings and desires. Because the client cannot know their own unconscious mind, there's no point in the sort of activities that CBT involves. Instead, the analyst has to help the client understand his or her unconscious. This is done through activities like dream analysis, free association or the Rorschach inkblot test. The assumption in psychoanalysis is that the client's problems stem from childhood trauma - probably a traumatic relationship with a parent. There may be memories of childhood abuse that the client has repressed. The client's abnormal behaviour is in fact a defence mechanism to avoid facing these memories. The traumatic memories must be brought into the conscious mind and confronted so that the defence mechanisms are no longer needed. A course of CBT is very organised, with planned goals and targets. There will usually be about 20 one-hour sessions, perhaps weekly, and a review at the end to see how many goals have been met. Goals involve using coping strategies and changing your behaviour (for example, going out with a friend once a week). 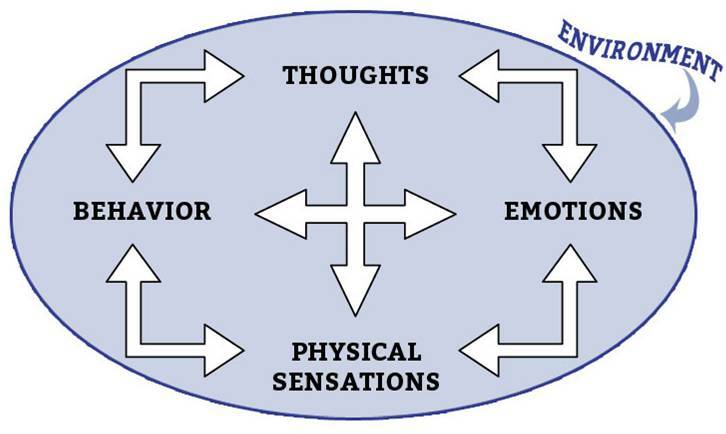 A technique often used in CBT is the "Hot Cross Bun" (Padesky & Mooney, 1990), which adds the importance of "physical sensations" alongside thoughts, emotions and behaviour. Physical sensations can be easier to recognise and talk about than thoughts or feelings. This is particularly useful for clients with schizophrenia, who can experience intense physical sensations. "Homework" for a CBT session might involve identifying situations where unpleasant physical sensations happen, then filling in the 'hot cross bun' template (above). The client and therapist will 'work back' through behaviour/feelings to arrive at the core beliefs which are causing the problem. The next CBT session can focus on these beliefs. Freud believed that schizophrenics were unable to develop the close interpersonal relationship with the therapist necessary for psychoanalysis. Harry Stack Sullivan (1892-1949) adapted Freud's ideas. He suggested that a person with schizophrenia has a very fragile ego and has regressed to early childhood due to extreme stress. Therapy gets the client to achieve insight in to role that the past has played in current problems. This has been referred to as an ego-analytical approach. Great success was claimed by Sullivan (from the 1920s). However, Sullivan's patients were only mildly disturbed and may not have been diagnosed as schizophrenic using DSM criteria. Stone (1986) shows half of the sample of more than 500 schizophrenic patients discharged after treatment between 1963 and 1976 in New York were doing poorly. Stone suggests that psychoanalytic 'insight' may worsen the condition by making people focus on problems in their past they can do nothing about. However, Rosenbaum et al. (2012) compared people with schizophrenia being treated with psychoanalysis with those being given conventional treatment over two years; the psychoanalysis group improved far more than the control group, improving their social functioning and showing decreases in symptoms. Unlike psychoanalysis, CBT is clearly structured and has SMART targets, making progress easy to evaluate. Since schizophrenia is characterized by cognitive dysfunction, it seems appropriate to treat it with cognitive therapy. As Nicholas Tarrier argues, people with schizophrenia develop their own coping strategies, but these are often ineffective or counter-productive. It is appropriate to focus on improving these coping strategies. Tarrier et al. (1998) investigated 87 patients with schizophrenia, some receiving treatment as usual (TAU, antipsychotic drugs) and some receiving CBT (problem solving and enhanced coping skills) alongside TAU. 83% completed the treatment. 3 months after the treatment ended, the CBT-group showed fewer symptoms and time in hospital but the TAU-group showed more symptoms and time in hospital. Bradshaw & Roseborough (2004) carried out a meta-analysis of case studies of 22 patients and suggest that 86% improved their psychosocial functioning and 82% had reduced severity of symptoms. All 22 clients achieved more than was expected with regard to goals of the treatment. These findings support the claim that CBT is effective with regard to schizophrenia. CBT involves the realisation that similar delusions and hallucinations sometimes occur in healthy individuals and this can improve the client's self-esteem. We don’t know how CBT works. There are many techniques involved in CBT and the therapy could be made more effective if we knew which aspects had most benefit. For example, critics argue that the benefits of CBT do not come from the roleplays and the homework, but from the warm and supportive relationship with the therapist. The tendency of participants in any study to show improvement when they think "somebody cares" is known as the Hawthorne Effect. However, the Hawthorne Effect would not explain why clients continue to show improvement even after the therapy ends. In many studies, CBT is compared against a control treatment - TAU or 'treatment as usual' - and found to be superior. This difference may not be due to the effectiveness of CBT; it may be because TAU is positively harmful. 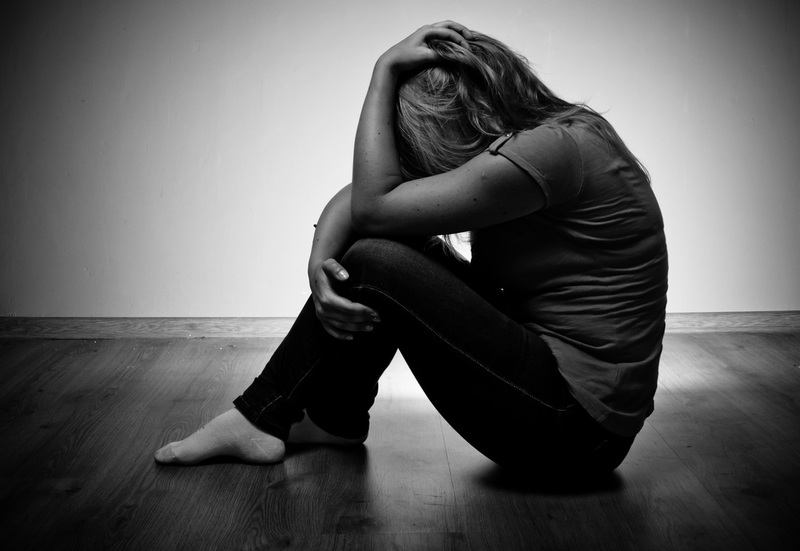 CBT is specifically designed to reduce positive symptoms of schizophrenia. It does not treat the negative symptoms. However, negative symptoms often show improvement after CBT even if they are not being targeted. Many patients with schizophrenia drop out of CBT. Patients need to be highly motivated because the treatment requires effort and commitment (unlike taking antipsychotic pills). CBT used to be considered inappropriate for schizophrenia because cognitive therapy involves talking and thinking clearly - exactly what schizophrenia interferes with. However, Bradshaw (1998) challenged this with a case study that showed a patient (Carol) benefiting from CBT. The great advantage of CBT over drug therapy is the lack of side-effects. On the other hand, cognitive therapy can be more threatening for some patients, because you have to open up and talk about your problems. For some people, popping a pill is preferable to sharing unpleasant thoughts and feelings with a therapist. Both treatments take time to be effective: drug therapy takes days-to-weeks, cognitive therapy takes months. This means a patient who is very distressed and perhaps suicidal will get much more help in the short term from antipsychotics. However, in the long term, CBT might be more beneficial. Carol showed that the benefits of CBT were still there a year after the therapy ended. Whereas, the longer someone takes antipsychotics, the more likely severe side-effects will develop and, if they stop taking the drugs, their symptoms will return. CBT seems to be most effective with clients who have good problem solving skills. For this reason it has not been seen as appropriate for psychotic patients (Ellis, 1980). However recent studies (Kingdon and Turkington, 1994) suggest that, in combination with anti-psychotic drugs, CBT can reduce delusions and disturbing hallucinations (through reality testing). An "integrated approach" involves combining the two treatments. It may be possible to reduce the dependency on antipsychotics as the cognitive therapy takes effect. A study by the National Institute for Clinical Excellence (NICE, 2004) found that CBT results in overall reductions of positive AND negative symptoms. NICE recommends CBT be used by the NHS as part of integrated treatment. People should be offered one-to-one therapy for at least 16 sessions over a period of six months or more. Since NICE and the NHS are government-funded, this represents government backing for CBT in the UK. New forms of CBT are being developed to help people deal with specific symptoms of psychosis. For example, CBT for 'command' voices (voices that tell people to carry out harmful actions), 'GOALS' therapy (lasting eight weeks) for people with schizophrenia who have depression and a version of CBT for children and young teenagers who hear voices. A psychological therapy for schizophrenia is cognitive behavioural therapy (CBT) which involves identifying negative and irrational thoughts. 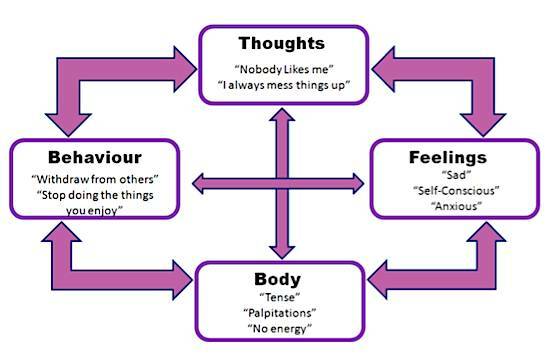 This is based on Beck's cognitive triad, which shows how core beliefs influence feelings and behaviour which in turn shape our beliefs. 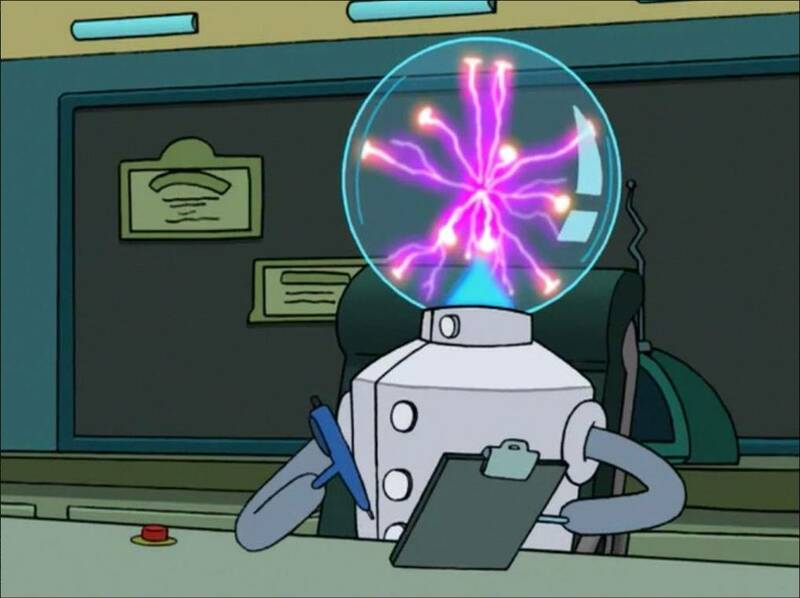 It's also based on Ellis' A-B-C-D model, in which the client reflects on an activating event, their beliefs and the consequences of their beliefs and the therapist then disputes faulty beliefs. CBT for schizophrenia might work by identifying and improving the client's own coping skills so they can handle their delusions and hallucinations more effectively. Since schizophrenia involves cognitive problems, it makes sense to use cognitive therapy to tackle those problems. However, many people drop out of CBT because it requires more commitment than taking antipsychotic drugs. However, a study by Tarrier et al. found that an integrated approach (drugs plus CBT) had better results than treatment as usual with just drugs. CBT can also bring about long-term improvements that last after the therapy is over, whereas if people with schizophrenia stop taking antipsychotics their symptoms return. Antipsychotics have been described as a "chemical straitjacket" whereas CBT can boost self-esteem and doesn't involve the nasty side-effects of drugs. Notice that for a 8-mark answer you don’t have to include everything about the CBT. You will notice I haven't mentioned the 'hot cross bun' or NICE's guidelines. But it is a balanced answer - one half description and one half evaluation.